For more than 30 years, Prince songs have been wowing fans and critics alike. From his 1980s heyday through his years of demanding to be known as "The Artist Formerly Known as Prince" and beyond, Prince has had more than 30 Top 40 hits over more than 30 albums. Prince is also known for fanatically protecting the copyrights of his songs. After being an early advocate of the Internet for the music industry, he now refuses to allow any of his music to be distributed online and once sued a fan for posting a baby video on YouTube because one of his songs could be heard playing on the stereo in the background. 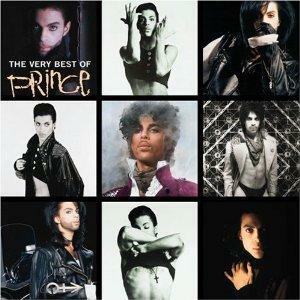 In addition to his own material, Prince has penned a number of songs for other artists. In the early 1980s, he formed a band called The Time, and after pairing them with sometimes bandmate Morris Day, wrote and produced a string of hits for them, including Jungle Love and The Bird. Prince has also written songs for The Bangles, Sinead O'Connor, Chaka Khan, Marteka, Sheila E, Sheena Easton, and many more. Over the course of his career, Prince has frequently been at the center of controversy over his song lyrics. Many Prince songs contain highly sexual lyrics, landing some of them on radio and MTV ban lists. One Prince song in particular led to sweeping changes in the music industry. In the mid-80s, Tipper Gore overheard her daughter listening to the Prince song Darlin' Nikki from the album Purple Rain. After hearing the sexual nature of the song's lyrics, Gore was horrified. She formed the Parents Resource Music Center and began lobbying for Congress to enact a law to force the music industry to put Parental Advisory stickers on albums that contain sexual or violent content and bad language. After much wrangling, the music industry relented and agreed to comply with the demands of the Parent Resource Music Center voluntarily. When music distribution first started online, Prince was at the forefront of the technology. In 1997, he released his album Crystal Ball online, making him the first major label artist to distribute music via the Internet. He continued using the worldwide web to reach his fans, and in 2006, he was awarded a Webby Award for "Visionary Internet Use." However, just a few weeks after accepting the award, Prince shut down his wildly popular NPG Music Club website - the home for his online music. In a statement, Prince said he believed that he had gone as far as he could with the club and that it was time to start something new. In subsequent years, Prince became more and more intent on removing his music from the Internet and tracking down people sharing his music on P2P networks. In 2010, Prince released a new album that he refused to distribute online and declared the Internet was "dead." Given Prince's distrust of the Internet, Prince songs are not always easy to download. His music is available on iTunes, but if you don't have access to iTunes or choose not to use it, your next best bet is to buy Prince CDs in a brick and mortar store or order physical copies from an online retailer like Amazon.